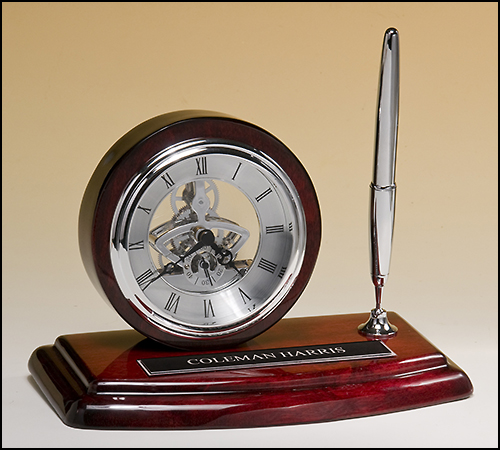 Whether your looking for a single pen as a personalized gift or one thousand pens with your company logo, Classic Design Awards can fulfill your needs. We carry numerous brand names, as well as some unique and unusual writing instruments. Please contact us for a brochure or more information. 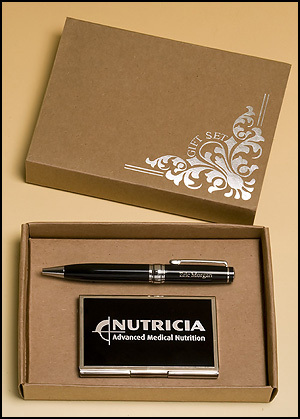 PKC6500 Chrome plated pen and business card case with black accents. Eco-friendly packaging. All wood items can be laser-engraved (not included in price). Items depicted in photos have had the engraving either stained black or gold-filled. Post-it-note® pad included. Pen can be mechanically engraved. Base plate can be laser engraved or mechanically engraved. Pens can be mechanically engraved. Base plate can be laser engraved or mechanically engraved. Plate can be laser engraved or mechanically engraved. Base plate can be laser engraved or mechanically engraved. Post-it-note® pad included. 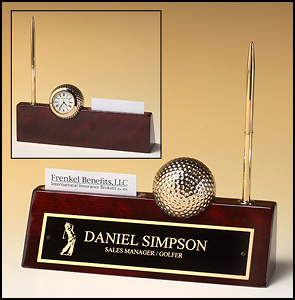 Base plate can be laser engraved or mechanically engraved. Copyright © 2005-2018 Classic Design Awards, Inc.. All rights reserved.